Over the years, Bandai Tamashii Nations has introduced the esteemed Mazinger Z robot in a variety of color variants and with different character collaborations, but fans probably never saw this dream collaboration coming - Introducing Chogokin Mazinger Z the Hello Kitty Color Version! Mazinger Z's trademark chest piece has transformed into Hello Kitty's iconic red ribbon. Even Mazinger Z's Jet Scrander belt has been reformed as Hello Kitty's face. And the cherry on top of the cake? 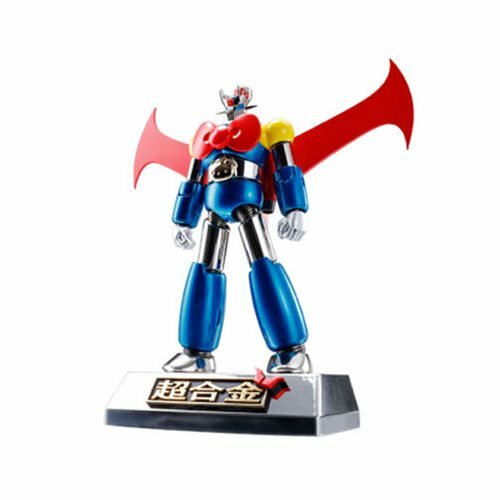 Chogokin Mazinger Z even comes with a special hand piece for shaking hands with Chogokin Hello Kitty Mazinger Z Color Version (sold separately)! Set also includes a special display base, 4 interchangeable hands, Jet Scrander, and Mazinger Blade. Measures approximately 5 1/4-inches tall. Ages 15 and up.